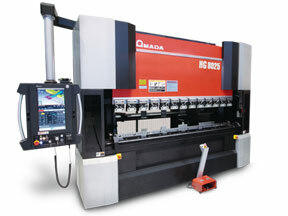 The LCG 3015 is the latest addition to Amada’s CO2 line of laser machines. 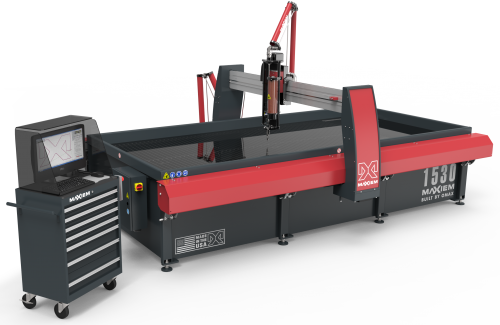 The LCG was developed after listening to the voice of our customers who wanted a low-cost laser machine to meet their budget, but refused to compromise on cut quality, machine accuracy, and overall expandability. 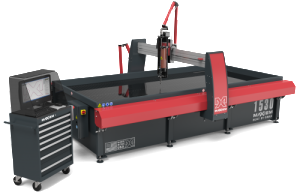 Amada took these requests and achieved a machine that has a lower capital investment with a cutting edge resonator and an advanced motion system. Designed for a wide range of machining needs, the MAXIEM 1530 sets a higher standard for precision abrasive waterjet machining. The rigid tank design is scaled to handle common plate sizes with room to spare. The advanced linear motion system uses digital linear encoders to provide instant micron-level cutting head position feedback to the Windows® 8 controller to assure accurate part production. Equipped with a diamond-integrated MAXJET 5i Nozzle, the 1530 can cut virtually any material quickly and efficiently, maximizing profitability. We also offer a few other services not mentioned above. In the near future we will be adding additional services to include welding, part inspection and CAD design. We also work with at trusted network of companies to get your job done on time and on schedule. Call us to find out how we can help you with your project today!